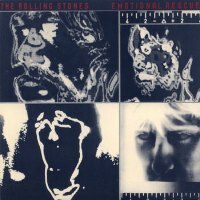 Emotional Rescue was the first album released by the legendary rock band in the 1980s. Reportedly selected from more than 70 recorded songs, the selections are varied, including the title track sung in falsetto and reggae- and dance-style tunes. The spacious sound production, which would define the '80s sound, is also notable. Originally released in 1980. This limited SHM-SACD was sourced form brand-new 2011 DSD masters based on the original UK analog tapes. Stereo.